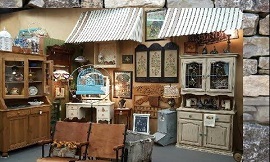 Millie’s offers a Wide Variety of Antiques, Home Decor and Great Gift Ideas. Shopping Local and Small Business is important in today’s economy. Stop by and Visit. Located inside The Antique Gallery Denton.